Government is amending the Indigenisation and Economic Empowerment Act to reflect its policy position that the 51-49 percent requirement only applies to natural resource-based investments. In this investment area, which is classified as the natural resources sector, foreign investors are required to have 49 percent shareholding, while Zimbabweans own 51 percent. The policy position is contained in a Presidential statement that was issued by former President Cde Robert Mugabe on April 11, 2016, where he clarified conflicting positions on the interpretation of the empowerment law. 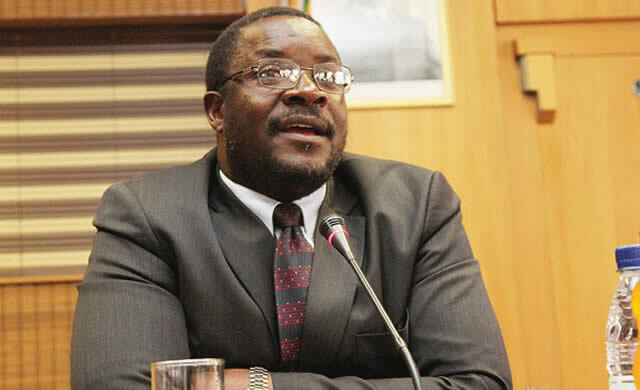 Presidential spokesperson Mr George Charamba told The Herald that the new President Cde Emmerson Dambudzo Mnangagwa instructed the Chief Secretary to the President and Cabinet, Dr Misheck Sibanda, yesterday that the law be urgently amended to reflect Government policy. In doing so, Mr Charamba said, President Mnangagwa emphasised that speed and urgency were of essence. “One talking point especially on the investors world has always been related to the indigenisation law and we found ourselves in an invidious position where the law, as presently constructed, promised empowerment for the indigenes without delivering it on the other hand, while creating discomfort or even suspicion to would-be investors on the other,” he said. “Either way, we remained with the paradox of a promise which could not be fulfilled and a need which could not be filled and this difficult situation did not arise from a lack of policy clarity on the part of the leadership. If anything, that clarity was spelt out in black and white by the previous President, except that statement well-intentioned though it was, was not translated into law, which means on our statutes we still had the law unchanged. Mr Charamba said the policy also sought to accommodate Zimbabweans in the Diaspora. In this regard, Mr Charamba said President Mnangagwa appreciated the value of Zimbabweans in many respects. “The President appreciates their four-fold value,” he said. In his Presidential statement clarifying Government position on the Indigenisation and Economic Empowerment Act, former President Cde Mugabe said implementation of the law would be done in three distinct sectors; namely: natural resource sector, non-resource sector and reserved sector.Said Cde Mugabe: “Pertaining to the natural resource sector, it should be emphasised that Government attaches great importance to the indigenisation of this sector. Business in this sector deal with the exploitation of our natural and depleting resources, such as minerals. “Government has, therefore, a sacrosanct duty to ensure that such resources are exploited in a manner that safeguards the best interests of the country’s current and future generations. As such, in terms of policy, Government and/or its designated entities, will hold a 51 percent stake in businesses in natural resources sector, with the remaining 49 percent belonging to the partnering investor(s). The non-resource sector covered beneficiation of raw materials, transfer of appropriate technology to Zimbabwe for the purposes of enhancing productivity, creation of employment and imparting of new skills to Zimbabweans, granting of ownership and/or employee share ownership for value to indigenous Zimbabweans, as may be agreed between an investor and indigenous Zimbabwean partner(s), and developing and creating linkage programmes, enterprise development, value chain and any other desirable objectives as may be defined by the responsible line ministers for the purposes of attracting foreign direct investment into Zimbabwe. Businesses under the reserved sector are reserved for Zimbabwean entrepreneurs, except for existing businesses and where a special dispensation is granted by the relevant line Minister. Such businesses include retail and wholesale trade, transportation (passenger buses, taxis and car hire services), estate agencies, grain milling, bakeries, tobacco processing, advertising agencies, valet services, employment agencies and provision of local arts and crafts and marketing and distribution of the same.